There is a recurring theme that weaves itself around the world: A new government takes power under extreme pressures and cracks down immediately on dissent. About two years ago in Cairo, Egypt, a new government dealt heavy blows to a sit-in protest. A journalist with a camera was almost blinded with his own belt and buckle and is now on a hunger strike after almost 800 days in prison. 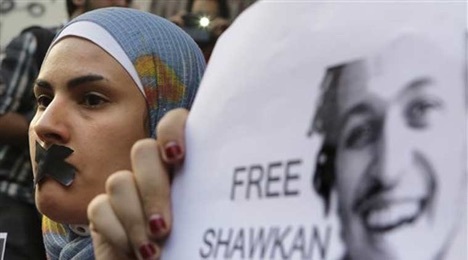 Please support the release of Egyptian journalist Mahmoud About Zeid, also known as Shawkan. I wish there were hundreds of Youtube videos banging a drum about this. There are not that many…yet. Please use social media channels to show your support for this dreamer with a camera.